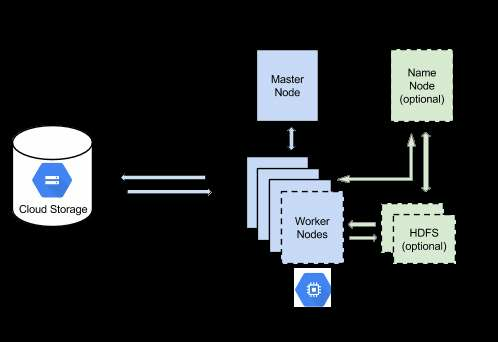 Google's latest enhancement to its cloud platform promises to make life easier for Hadoop developers deploying clusters with the web provider. Called the Google Cloud Storage Connector for Hadoop, the optional file system provides several advantages over the standard Hadoop Distributed File System (HDFS) when running MapReduce jobs on data. These include direct access to data without having to move it to HDFS, as well as access to the information after clusters have been shut down. There is also no storage management overhead with Google's Cloud Storage unlike HDFS, which requires routine file system checks and other maintenance tasks. Google also promises interoperability between its storage option and other services, as well as Hadoop. Jonathan Bingham, product manager for Google Cloud Platform, said in a statement the storage connector lets users benefit from the company's experience in large data processing, making it easier to run Hadoop on the provider's cloud service. The optional storage connector is subject to Google's cloud storage pricing, which starts at US$0.085 per gigabyte and month for the standard variety, and network egress charges of US$0.15 to US$0.21 per gigabyte in the Asia-Pacific region.